Fine collection of home grown songs; one of John's most accessible albums. Recorded august 1974 at Island Studios London. First UK pressing had inner sleeve with lyrics. First CD pressing Island Masters series March 22 1993. Remastered and expanded CD-release November 7 2005. John told International Musician in 1991: "Working with Danny Thompson was always fast; the whole of Sunday's Child was recorded in six days and it was all improvised, all of it." The US vinyl pressing had a different picture sleeve, see the scan on the right. The inner sleeve with lyrics was purple and the label was the 'holiday' type (see label page). Apart from the catalogue number mold A had also "STERLING" stamped on it. 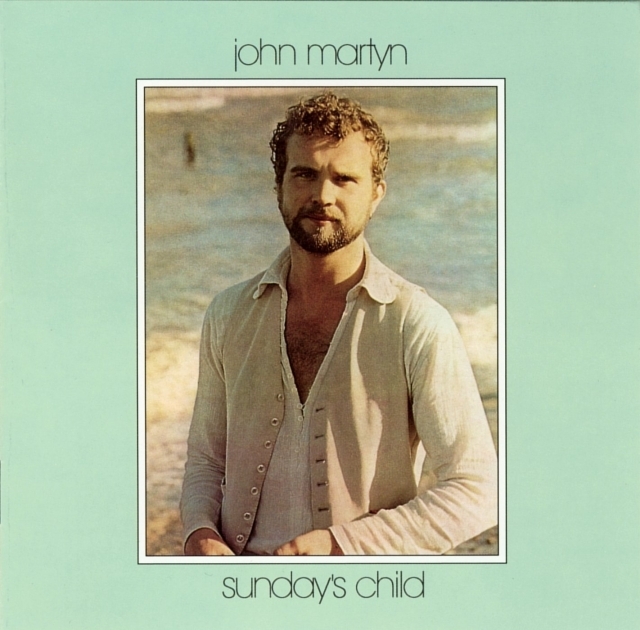 John Martyn will probably never be a "star" in the accepted sense of the word though to several thousand Martyn aficionados and to all of us at Island John has been a star since we released "London Conversation" back in 1968. Since then a further six albums have seen the light of day, each one selling a little better than its predecessor which indicates that the movement is growing! This, then is the new album "Sunday's Child" to be released on Friday 24th January. No superlatives. Just judge for yourself.